Imagine having over 250 Different pearl necklace and bracelet combinations for a fraction of the price. If you are looking for a pearl necklace set with versatility, Mystery Pearls and Mystery Pearl Connectors may be what you are looking for. 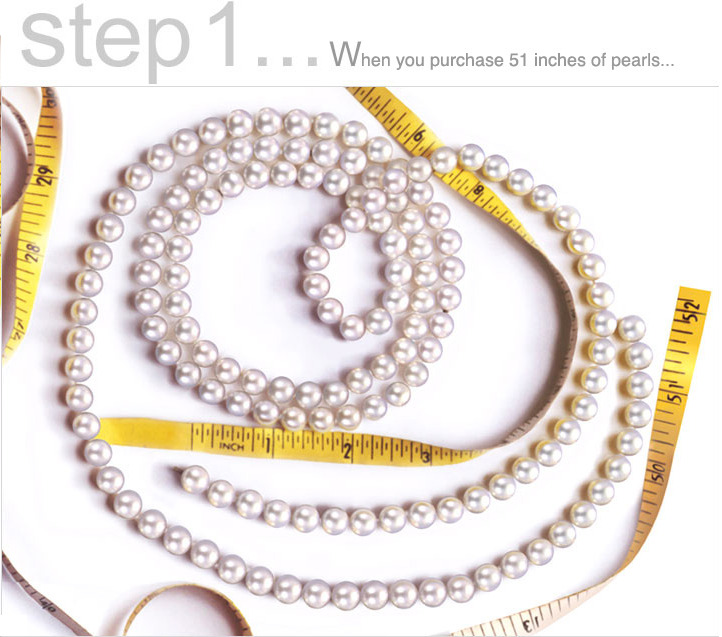 When you purchase 51 inches of cultured pearls, American Pearl's pearl stringers install four Mystery Pearl Connectors into strategic locations within this long necklace. We'll split your 51 inch necklace into four pieces that are (1) 8 inches, (2) 8 inches, (3) 17 inches and (4) 18 inches. This way, she can connect any pearl necklace segment to each other allowing for over 250 unique necklace combinations. She'll have a pearl necklace for every occasion.